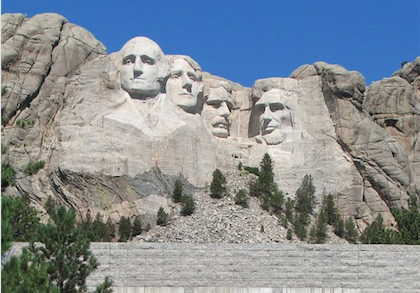 A new study conducted by Pew Research Center finds that upwards of 80 million Americans will make the strenuous journey through the Black Hills of South Dakota to reach Mount Rushmore, where they will pay their respects to the men responsible for the state our country is in today. The men and women who take this holy trip engage in many traditions, like the rubbing of the spot where Teddy Roosevelt’s “Big Stick” would be if the engravings had been made in full, a reference to his famous foreign policy on Latin American colonization. The ceremonial patting of this area is supposed to grant the stroker luck, (especially, according to sources, in areas such as “protecting our jobs,” and “keeping the government’s hands away from our guns”). When asked if this is Jennings’s favorite American tradition, she gave an affirmative yes.